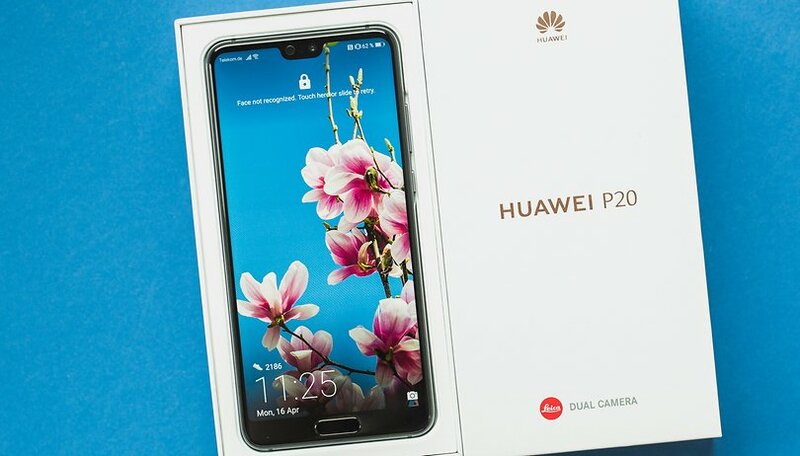 Huawei’s P20 series consists of three smartphones: the P20 Pro top model, an inexpensive Lite version and the standard P20. In our display test of the Huawei P20 we’ll find out whether the TFT-LCD panel installed in the P20 can keep up with the AMOLED display on the P20 Pro. What kind of display is built into the Huawei P20? Unlike the P20 Pro, the P20 doesn’t use a display with AMOLED technology, but instead a conventional TFT-IPS panel. Huawei also calls this FullView, but this refers more to the screen-to-body ratio, which is an impressive 80 percent. In terms of resolution, the P20 with FHD+ (1,080 x 2,240 pixels) has a screen diagonal of 5.8 inches, which results in a pixel density of 429 ppi. As with the P20 Pro, Huawei deliberately decided against a WQHD resolution for the P20, since the Chinese manufacturer is of the opinion that the optical advantages are minimal in comparison to FHD+. This lower resolution, however, does have a positive effect on the battery life. For our display test we used the Spyder 5 Elite, a tool for display calibration. This tool can calculate the distance between the measured and standard color values. The delta E values indicate the accuracy of the color representation. The smaller the delta E value, the purer the color representation. A low value means that the color is displayed more accurately. Of course, we tested the Huawei P20 Pro and its AMOLED panel in the same way. Even if the Huawei P20 uses a TFT panel for the display, this doesn’t automatically mean that it’s worse than the AMOLED panel installed in the P20 Pro. Both panels are almost at the same level, with the Huawei P20 (466 nits) leading the Pro version (442 nits) in terms of maximum brightness. If the automatic brightness control is activated, the display of the Huawei P20 and P20 Pro can shine even brighter. Values of more than 600 nits are possible. The sRGB color space coverage of the Huawei P20 is very good. In the graphic below you can easily see that the sRGB color space (black triangle) fits loosely into the color space covered by the P20. The grayscale measurement results in astonishing color distribution because the TFT panel of the Huawei P20 also tends to turn blue with white screen content. This can be adjusted manually in the instrument settings under Display > Color & eye comfort > Color mode & temperature. In everyday use this isn’t actually so important. In everyday use, the Huawei’s P20 screen is pleasantly bright and easy to read even in direct sunlight. The viewing angles are also good. The display settings of the Huawei P20 offer many useful settings for everyday use. One of them is called Natural tone and corresponds to the True Tone function in Apple’s iPhone X, iPhone 8 and 8 Plus. When this feature is activated, the display of the Huawei P20 not only adapts to the ambient brightness, but also ensures that the color rendering is adapted to the environment. You can activate this function under Settings > Display > Color & eye comfort. The notch of the Huawei P20 series can be hidden through software settings. This simply adds a black background to the space next to the notch and prevents apps from using these areas. The option isn’t quite perfect, as there are still apps like Instagram that ignore this setting. If you’re travelling for a longer period of time or would like to have optimum battery life, you can manually change the screen resolution from FHD+ (2,244 x 1,080) to HD+ (1,496 x 720). If you want the P20’s system to automatically decrease the resolution when the battery is low, select the Smart resolution option. Have you gotten your hands on the Huawei P20 and experienced its display? Let us know what you think in the comments! Call me silly, but, it's a SMARTPHONE, not a 55" 4K television. The IPS displays are good enough, plus you don't have that risk of screen burn in, I've noticed threads popping up about, with various AMOLED screens.